His name was familiar to me even in my childhood. Years before I was born, he had established links with my parents and uncle Director K. Subrahmanyam who cast him in the role of Shambu Sastri, Baby Saroja's grandfather in the iconic film Tyaga Bhoomi based on a story written by Kalki Krishnamurthy. In fact, he was kind of re-christened at that time, with the prefix PAPANASAM, the place where my father and uncle grew up as children of a famous advocate - C.S. Krishnaswamy Iyer of Kumbakonam. Sivan lived there for a while, conducted Margazhi month bhajans, and became a friend of the family. Almost all the pioneering directors of cinema needed composers of music, and Sivan was in great demand. His compositions for cinema are remembered to this day. His long stint as a composer of Krithis of the classical genre happened after the forties. He had a tremendous command over lyrics and infused the depth of Carnatic ragas into the words. He did not have to make any other effort to earn the respect and admiration of all knowledgeable savants of music. Being mostly in Tamil, his Krithis had a unique appeal. My mother sang many of his songs. My brother Balu attended his Bhajana walks in Mylapore for years, and organized a sumptuous prasadam of Pongal on the last day of MARGAZHI for years. I used to attend some of these early morning sessions of devotional music and was a struck by Sivan’s involvement even when he was frail with age. One fine day in the early seventies, my mother played Sivan’s Sriranjini Varnam "Swami nee manam irangi arul thaa" on the veena. She liked the lyrics and suggested I should dance this varnam. To learn this, I visited Sivan and his daughter, the kind and gracious Neela Ramamurthy, at his house in Mandaveli. She composed songs too and printed them. Perhaps her family would unearth some of those now. Soon I drove the doyen in my Fiat car, and brought him home to Santhome, to teach me and particularly Charu my sister, the Varnam. Months later, I got an opportunity to dance in a midyear concert at the Music Academy. Those days one had to wait long for this Sabha to accept talent. Influential daughters and granddaughters were readily picked to dance on the opening day. 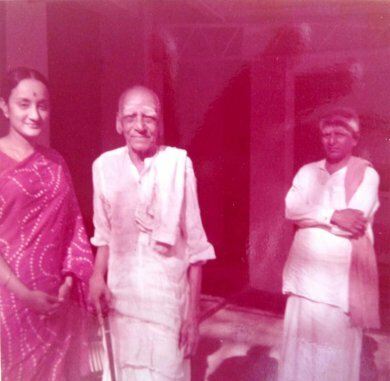 I waited patiently until 1980.... By that time I had been given a title: Nritya Choodamani by Krishna Gana Sabha, and had danced in many Indian cities as well as prestigious events abroad! I prepared the Sriranjini Varnam. And invited Sivan to attend the performance. He was a man of few words, and expressed his happiness that I presented the Varnam. Much later (1987) I decided this is the Varnam I will perform for my film Poetry of Dance. So there it is, on DVD. All Sivan’s compositions are classics. The early artists who made his compositions popular are M.S. Subbulakshmi, D.K. Pattammal, D.K. 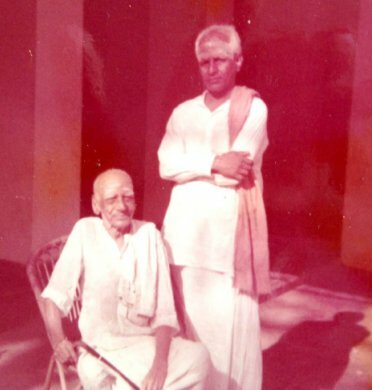 Jayaraman, and Madurai Mani Iyer. Jayaraman sang with fervour and did total justice to even small songs like “Naan oru vilayattu bommayya.” I only mention few of the big names. Others followed suit too. The inimitable lyrics and raga bhava lit up the hall when vidwans sang Sivan’s songs. After his passing away, authentic renderings of his compositions could be heard by two of his disciples. I used to hear them in the Bhajana sessions: they were Mani and Sethalapatty Balasubramaniam. My brother Balu once heard Mani singing the Nandanar song “Vazhi maraithu” in Todi ragam. He would not stay still until I had tracked down Mani in Kalakshetra. I took him to Charu’s house and made her learn the piece. It was then that I discovered that the tune was set by Sivan for the film Nandanar featuring Dandapani Desikar. Well, I performed it everywhere, many dancers copied the idea, some sang it incorrectly...... Anyway, thanks to this stellar composition of Sivan, I was persuaded by Yagnaraman of Krishna Gana Sabha to do a whole feature on Nandanar with Goplakrishna Bharati’s songs, most of them tuned by Sivan. Papanasam Sivan’s varnams according to me are some of the best for dance. I think he understood the concept very well. His songs on Kapaliswara and Karpagambal are legend. His body of work is enormous. I am happy to recall that my mother used to help him with resources which he always lacked, to publish his compositions. His daughter Rukmini is a well known composer keeping his legacy alive. Her son Ashok Ramani is engrossed in popularizing Sivan’s songs among the next generation. Dancers perform Sivan’s varnams like the Dhanyasi and the very popular Nattakurinji (Swami naan undan adimai) with great enthusiasm all over the world. The simple Tamil lyrics are appealing and the composition is structured perfectly for dance. Sivan in his lifetime was a prolific composer of Carnatic music for the traditional concert, for cinema and for Bharatanatyam. It is an artistic feat which has no equals. He is known as the Tamil Tyagaraja. Well..... He is that and more! In his 125th birth anniversary, I feel blessed to have known him in his lifetime.